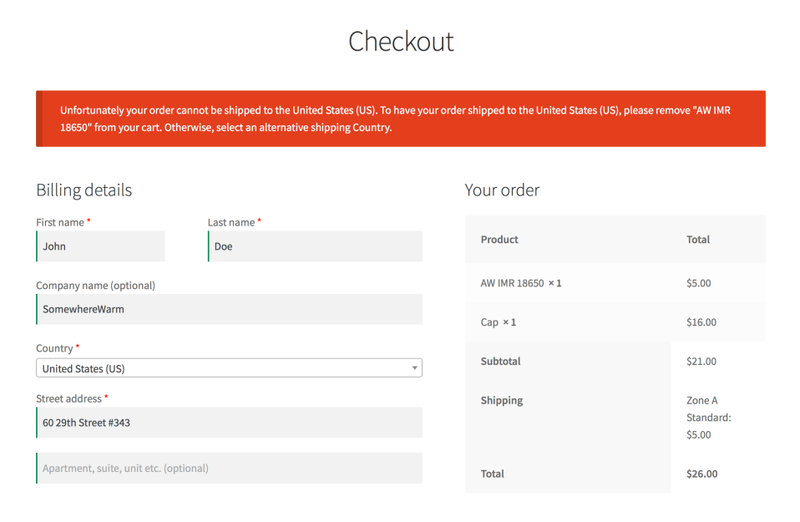 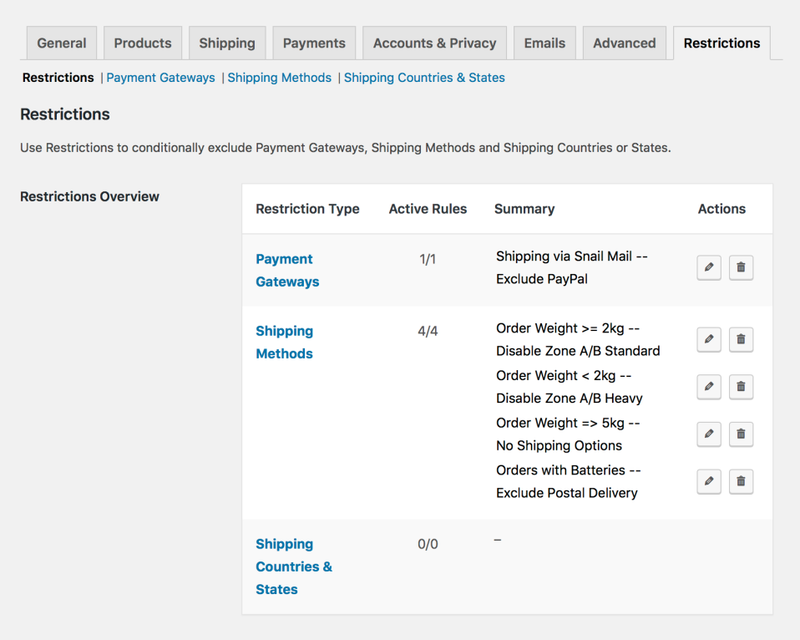 WooCommerce Conditional Shipping and Payments Extension: allows you to use advanced rules to control the countries/states, payment gateways and shipping methods available during checkout. 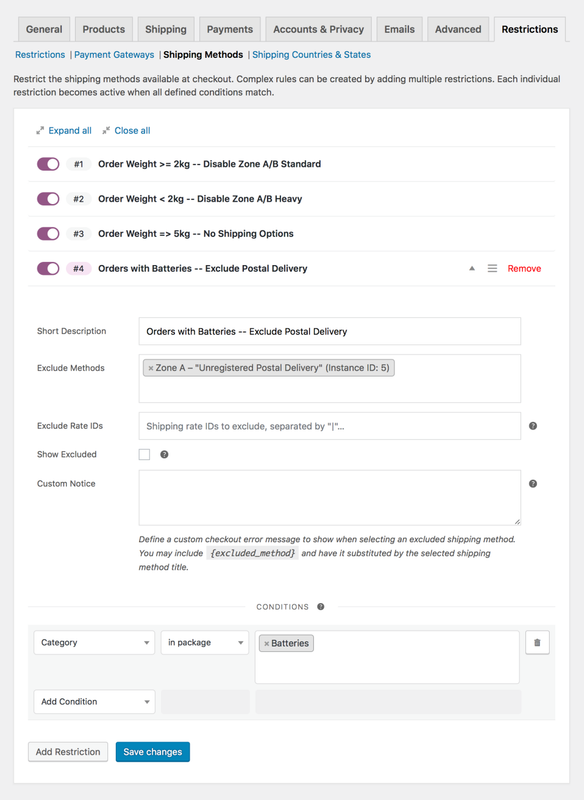 Conditional Shipping and Payments gives you full control over the payment gateways, shipping methods and shipping countries/states available at checkout. 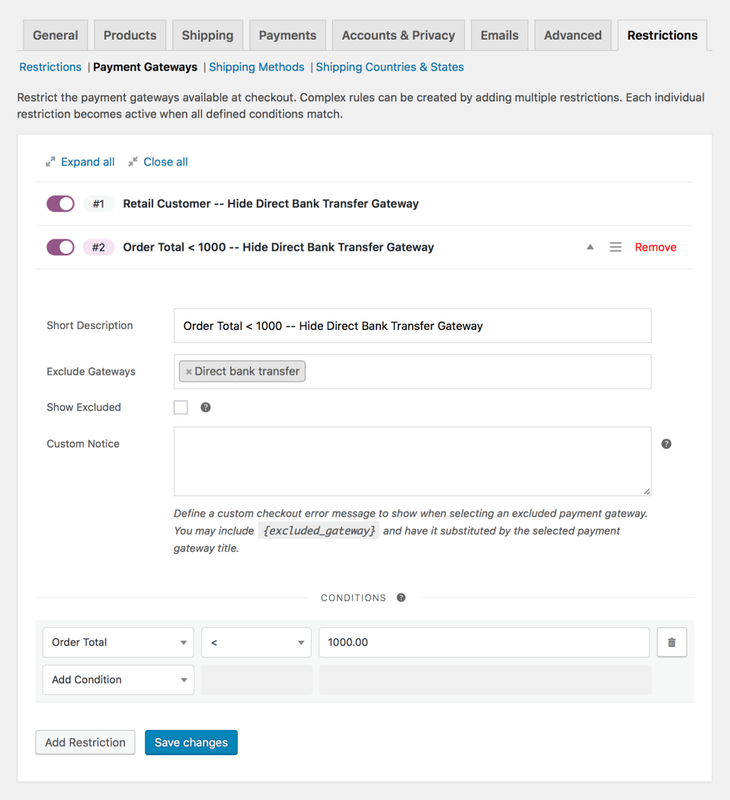 Create simple or advanced rules to restrict payment and shipping options based on conditional logic.